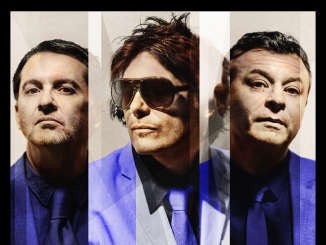 Currently finishing off their UK arena tour, Manic Street Preachers release a new single today, 4th May 2018. ‘Hold Me Like A Heaven is the third single taken from their No. 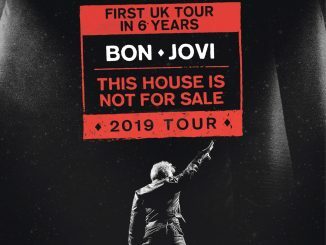 2 hit album ‘Resistance Is Futile’ and described by one reviewer as “distinguished arena-scale balladry with a tension between resignation and romanticism”. Remixes of the song are coming from Warm Digits and Public Service Broadcasting. 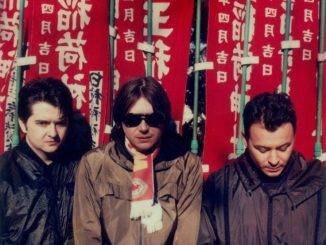 Nicky Wire explains “This track sprung from reading Lines on a Young Lady’s Photograph Album by Phillip Larkin, and his poem Aubade as well. It was the last lyric written for the record and I knew it had to be special. It’s got one of my favourite ever lines, which is “what is the future of the future/when memory fades and gets boarded up”. We’ve long been obsessed with writing something like Ashes to Ashes; I think this is the closest we’ll ever get”. After the UK tour the band will be playing the BBC Biggest Weekend in Belfast on the 25th May and then will appear at several festivals including Robert Smith’s Meltdown and play with Guns ‘n’ Roses at shows in Germany and Demark.